Inspired by the Chinese legend of Luban, this Professor Puzzle challenge, Luban Lock, is perfect for agile fingers and an agile mind. Wishing to test the intelligence of his son, he drew upon traditional joinery techniques and created an interlocking puzzle for his son to solve. After a restless night’s work, his son successfully solved the mystery of the puzzle, convincing his father of his great intellect. 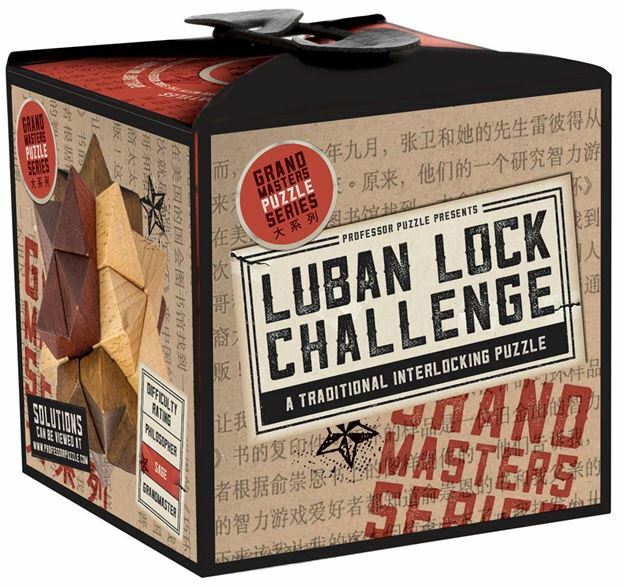 Part of the Grand Masters range. Difficulty Rating: Emperor. Distributed in New Zealand by Holdson.